Loveridge: After unprecedented government concessions to Sandals, the company pays only lip service to Bajan agricultural suppliers. 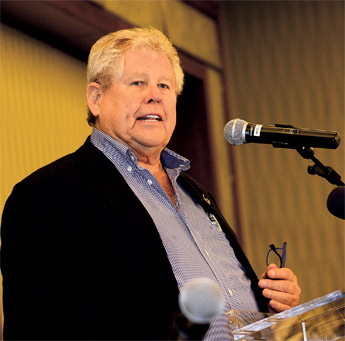 Sandals’ Butch Stewart doesn’t look like he’s starving, but little of what he and his resort guests eat is Bajan. First let me declare my absolute and total support for those advocating the use and consumption of more locally produced items especially by our tourism industry. When the head of the Barbados Agricultural Society recently boasted that Sandals Barbados were purchasing 1,000 lbs of local produce each week, no-one thought to question him as to what this actually means. In all fairness to James Paul, he stated that they were trying to increase this amount, but let’s look at the current figures. If the hotel is full that is a capacity of 580 guests each night who have every meal and snack included in the cost. This equates to a volume of just 4 ounces per person per day. And that is before any allowance is made for the quoted 600 staff and management taking meals on the property. The United States is currently the largest market for Sandals and the average American, according to internet informed information, is 36.6 years of age, is 5 feet 9 inches tall and weighs 190 lbs if male, or 5 feet 4 inches and 164 lbs if female. Again based on averages each American consumes nearly 5.5 lbs of food per day or a short ton per annum. Over a year this includes 29 lbs of French Fries, 23 lbs of pizza, 24 lbs of ice cream, 53 gallons of soda, 24 lbs of artificial sweetener and a staggering 2,736 lbs of sodium, which is 47 per cent above the recommended medical limit. All of which add up to 2,700 calories daily. The question should also be asked, is the average Sandals guest likely to consume more or less than they do at home than on a fully all-inclusive vacation? In reality then the 4 ounces of ‘local produce’ represents less than 4 per cent of consumables used daily, therefore a proverbial drop in the ocean. Our 2015 cotton crop is in danger of rotting in the fields as fewer than 10% of last year’s 150 registered cotton pickers are willing to work, and this year the crop is almost double the size of 2014. 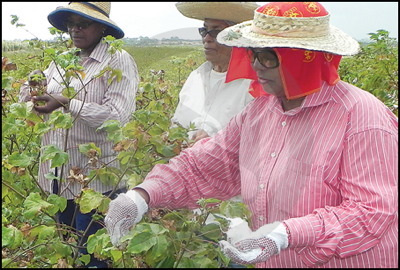 The problem is that the Government of Barbados hasn’t been able to pay the pickers for the work they did a full year ago, picking the 2014 crop. Guess what folks? You promise to pay agricultural workers a certain amount for each pound of cotton and you don’t pay them for a year… what happens is that nobody shows up to pick the next crop. Got that Prime Minster Stuart? It’s a simple and basic concept that this government hasn’t grasped I know. The government can put off paying suppliers, contractors and government employees when the money can’t be found, and those people will hang in waiting for the government to catch up on payments. But you can’t do that to poor agricultural workers for a year or they walk and that is exactly what has happened. Bajans used to have big mouths, and gossip would spread faster than lightning. It worked to help keep people straight, cause nobody wanted to be known as a crook or a thief. But reputations dont matter anymore in Bim. Furthermore, Bajans so busy buying and building bigass houses they can’t afford to furnish properly, and bussing their behinds to pay for, that they do not pay attention to what is going on in the country. Bajans were never victims like I see now. They were always quick to open they mouth and cuss you out or land somebody a blow longside their head for doing them wrong. But now, the process has changed where people putting well known fall down drunks to run the country and crooked lawyers to handle the money matters of the country. The old people who sweat in the canefields to make Barbados a good place to live must be ready to jump out the grave with a fresh tamarind rod to beat everybody behind. The people in Bim who still living sweet, are the ones who fix their little house good, and still have money in their pocket. They still planting a little kitchen garden and some fruit trees, instead of wasting precious land with front lawn. It is a sin to be importing vegetables and fruit, even seasonings from other islands while only grass growing on a big patch of land, taking up water, and keeping the place hotter than the devil’s hell. If farming were easy we would all be doing it! After all, food is our most basic need. So it stands to reason that farming should be profitable, however that’s not the case. I will explain why using the three points below and then provide one solution to make farming profitable in Barbados. First point is that we need to take a look at the big picture. 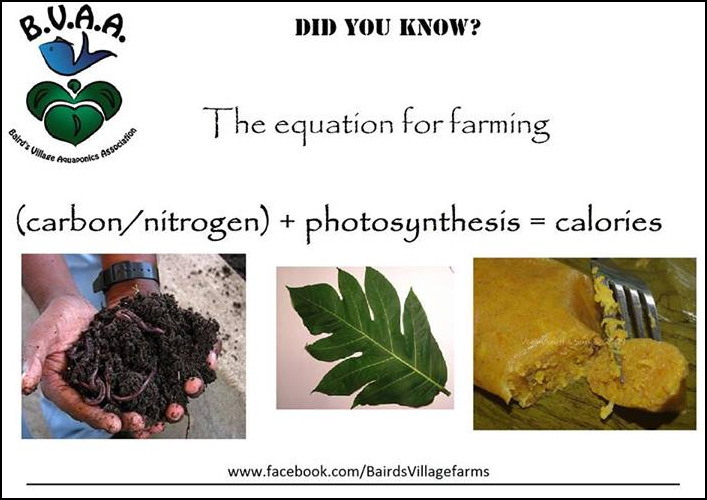 If it was an equation farming would equal (carbon/nitrogen) + photosynthesis = calories. Each of the 3 parts requires energy inputs to bring the product to point of consumption. Genetically modified organisms (GMOs): Threat or salvation? When discussing the issues surrounding genetically modified organisms (GMOs) — that is, organisms bearing the genetic traits of other species or bacteria — the focus is typically on how safe (or unsafe) these novel, food-like products are for humans. But distinguished risk engineer and two-time best-selling author Nassim Taleb thinks an even bigger problem with GMOs is their threat to the planet, and the statistical likelihood that they will eventually lead to the collapse of life on Earth. In a new study, which is still in draft form, this professor of risk engineering from New York University uses statistical analysis to make the case that GMOs, by their very nature, will disrupt the ecosystems of this planet in ways that mankind is only just beginning to comprehend. Because they represent a systemic risk rather than a localized one — GM traits are known to spread unconstrained throughout the environment — GMOs will eventually breach the so-called “ecocide barrier,” leading to catastrophic ecosystem failure. “There are mathematical limitations to predictability in a complex system, ‘in the wild,’ which is why focusing on the difference between local (or isolated) and systemic threats is a central aspect of our warnings,” Taleb is quoted as saying by Fool.com, noting that it’s essentially impossible to contain the inevitable spread of GMO traits far and wide. Comments Off on Genetically modified organisms (GMOs): Threat or salvation? Could Barbados diversify its agricultural industry with marijuana-fed pork? 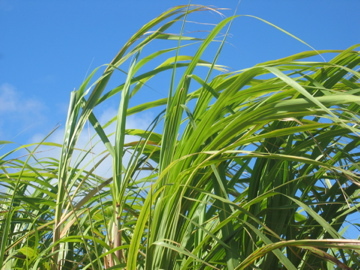 Well, it’s not like we’re making any money from sugar cane anymore!